Benjamins Estate Agents are pleased to bring to market this modern coach house situated in the popular South Nottinghamshire village of Ruddington on Old Station Drive. It would make an ideal investment or first time purchase. Benefiting from having on onward chain. 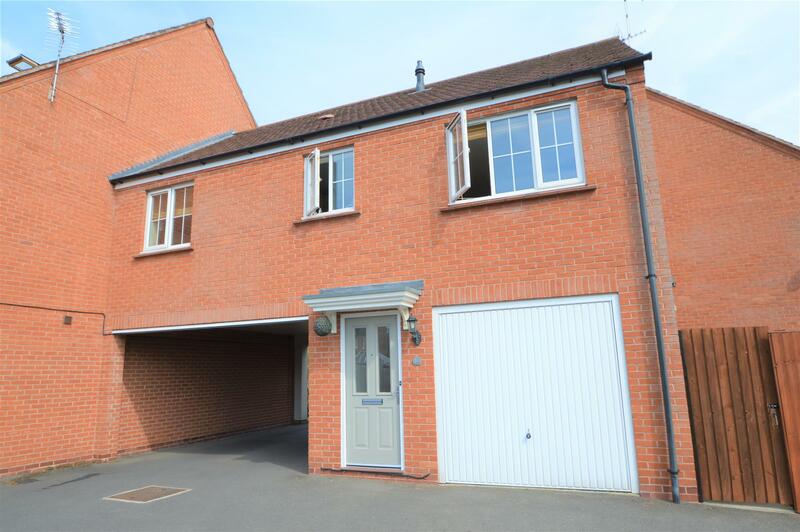 Ruddington has wealth of excellent local facilities nearby, the property offers accommodation including entrance hall, open plan living / dining area, fitted kitchen, double bedroom and modern bathroom. Benefiting from gas central heating and UPVC double glazing, the property also has a garage, parking and enclosed garden. 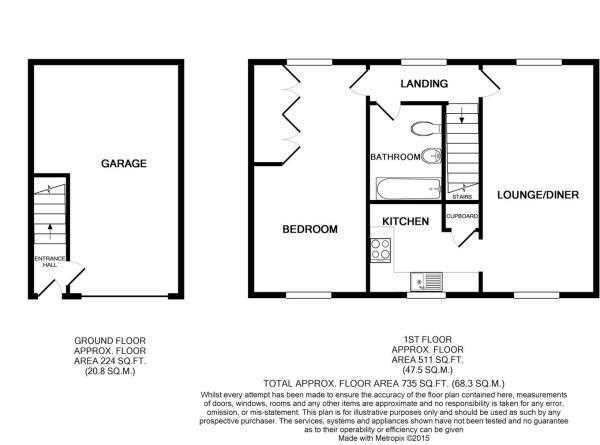 To arrange a viewing please call Benjamins on 0115 9371713. Door leading into the garage, stairs to the first floor accommodation. UPVC double glazed window to the rear elevation, radiator, door leading into the open plan living area. UPVC double glazed window to the front aspect, two radiators, television and telephone points, ceiling spot lights, access to the kitchen. Fitted with a range of wall, drawer and base level units with work surfaces over, inset stainless steel sink unit with mixer tap, tiling to splash backs, built in electric double oven with four ring gas hob and extractor fan over, built in fridge/freezer, space and plumbing for washing machine, removable cupboard with space for a dishwasher, cupboard housing the Baxi boiler, UPVC double glazed window to the front aspect, radiator and tiled flooring. A dual aspect room with UPVC double glazed windows to the front and rear aspect, two radiators, fitted bedroom furniture including two double fronted wardrobes, loft access hatch to partially boarded storage area, ceiling spot lights, telephone point. Fitted with a three piece suite comprising panelled bath with shower over, low flush wc and pedestal wash hand basin. Tiling to splash backs, shaver point, radiator. Up and over door, power and lighting. An electric car charge point in the garage & door into the entrance hallway. The property enjoys a gated rear garden which is fully enclosed with timber fencing to boundaries. There is a low-maintenance artificial turf lawn in the with pathway leading to raised decking area. The local authority Rushcliffe Borough Council has advised us that the property is in council tax band A, which we are advised, currently incurs a charge of £1,293.00 (2018/19) Prospective purchasers are advised to confirm this.